Design your own dining room, just the way you want, with this Lancaster Table & Seating 22" x 22" black 3" bar height column table base! This cross-shaped table base makes it easy to add the compatible table top of your choosing. 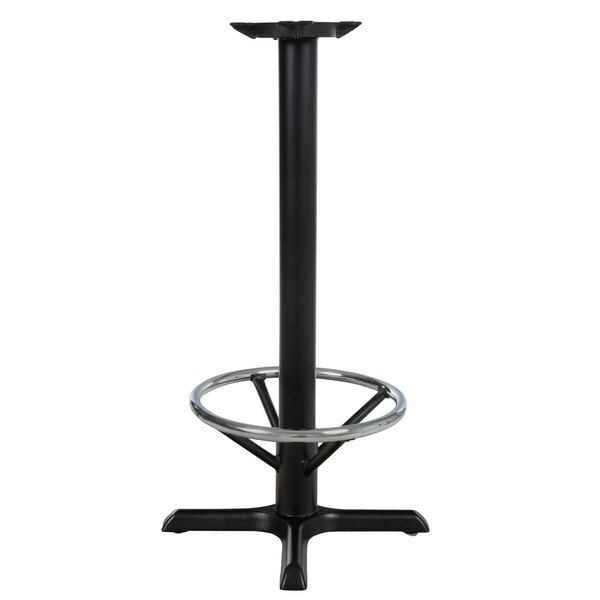 Round or square, light or dark - the options are endless for creating a sturdy bar height table! Whether you're just opening your first restaurant or are looking to replace the old tables in your bar, we've got the perfect product for you.